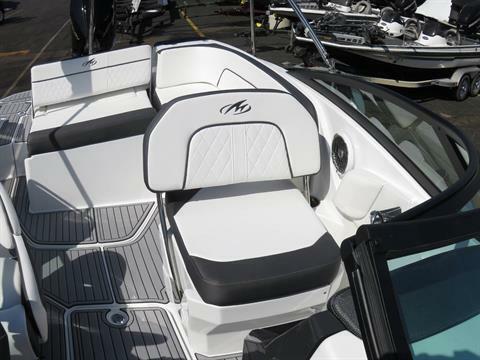 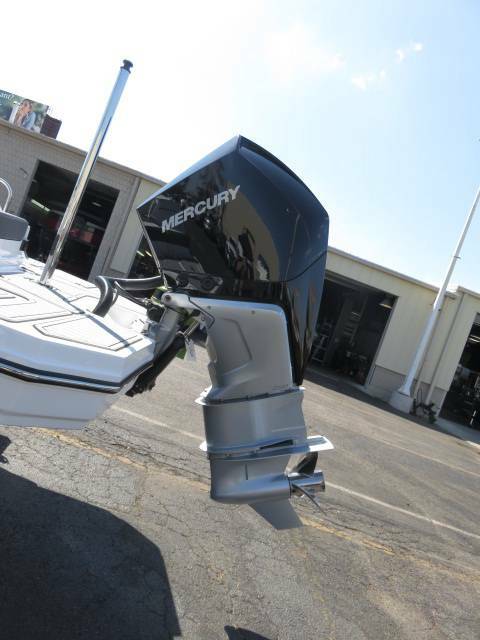 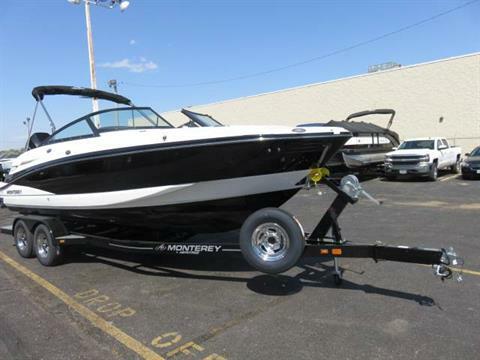 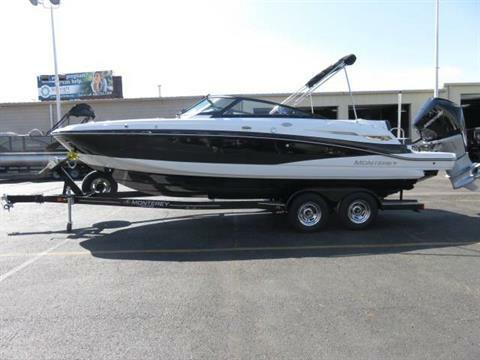 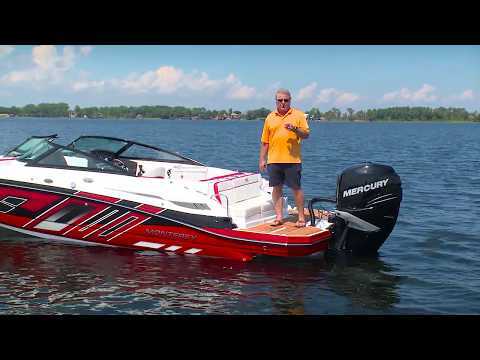 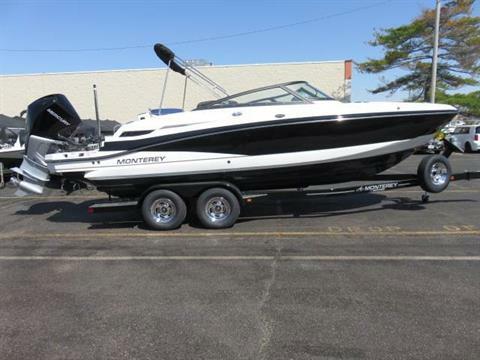 2019 Monterey M45 Crossover Mercury 250XXL DTS Verado. Colors: Gel Deck Stripe 1 Onyx, Gel Deck Stripe 2 Arctic, Gel Hull Stripe 1 Onyx, Gel Hull Stripe 2 Arctic, Gel Hull Bottom Onyx, Graphics Delete, Fabric Interior: Anthracite Grey, Mercury 250XXL DTS Verado, Removable Ski Tow Pylon, Grey Seadek Swim Platform Inlay, Grey Seadek Cockpit Inlay Flooring, Aft Cockpit Sun Island, Stereo Upgrade Package: Upgraded Speakers, Amplifier, Subwoofer, Stern Mounted Stereo Remote, Pump Out Head, Bow Filler Cushions, Forward/Aft Lounger Portside, Bow & Cockpit Canvas, Dual Battery Switch With Additional Battery Tray, Battery Charger With Deck Plug, 2-24 Series Batteries, Fire Extinguisher, Heritage Tandem Axle Trailer, Brakes, Swing Tongue and Spare Tire With Mount. Spacious, Suave, and stylish, the M45 offers a unique blend of performance and comfort. 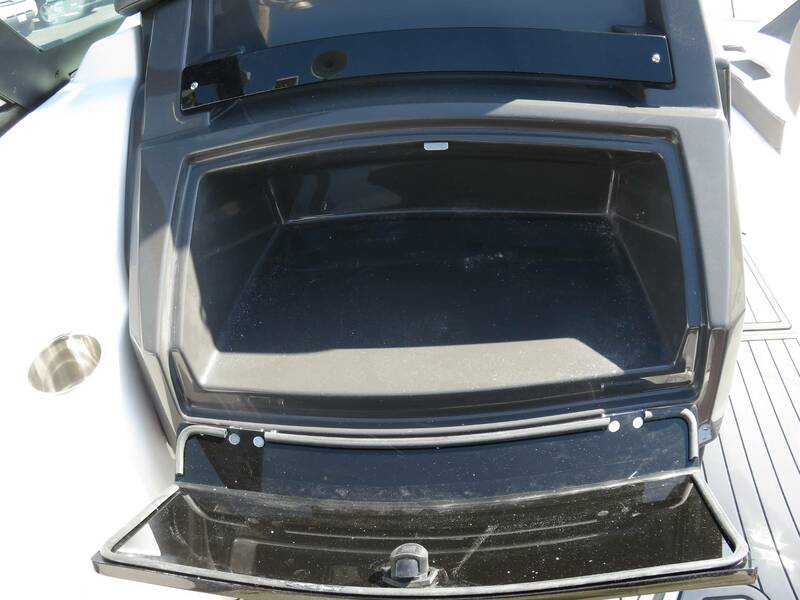 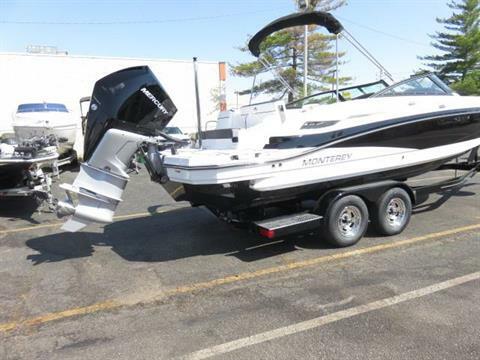 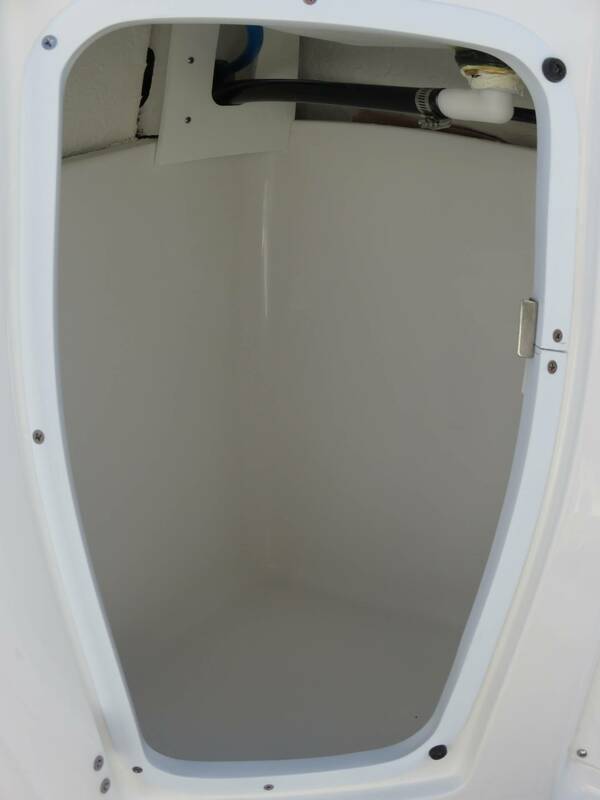 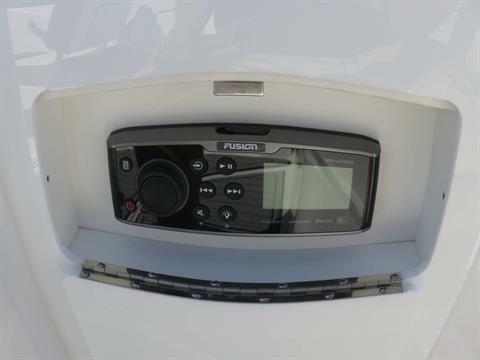 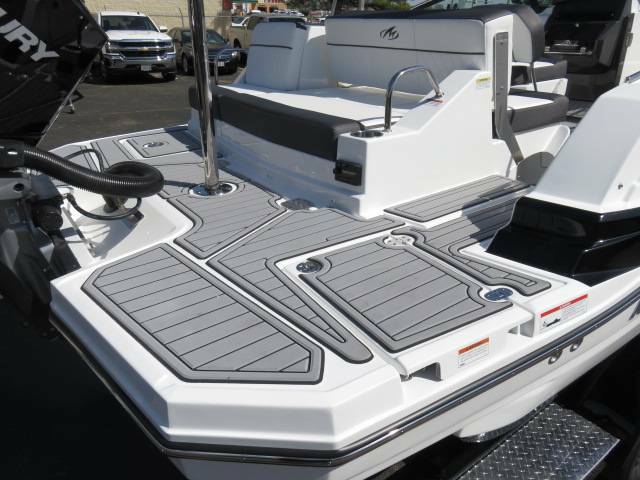 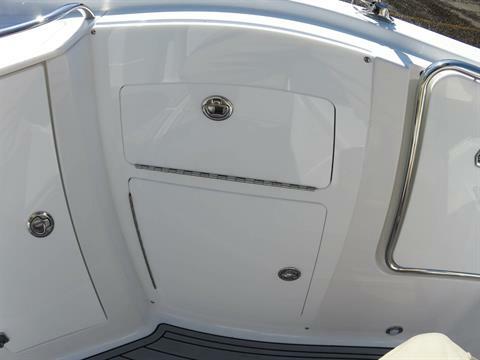 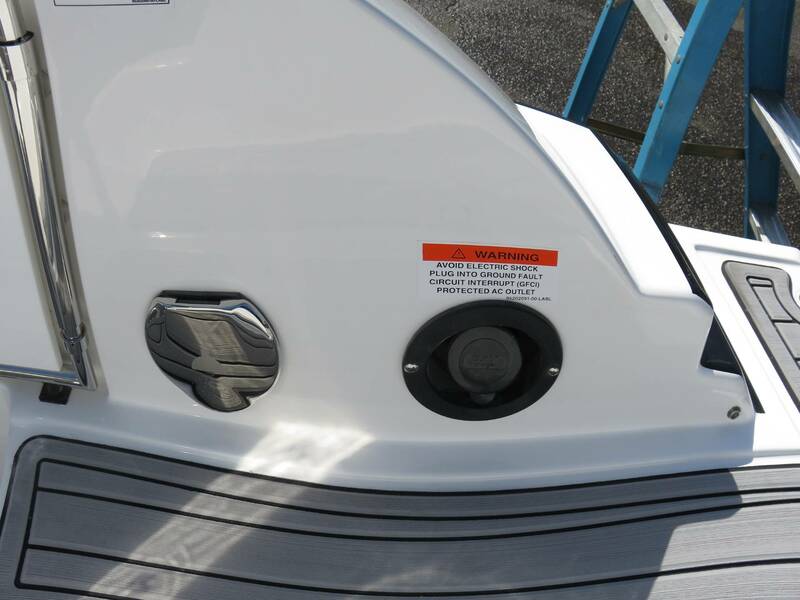 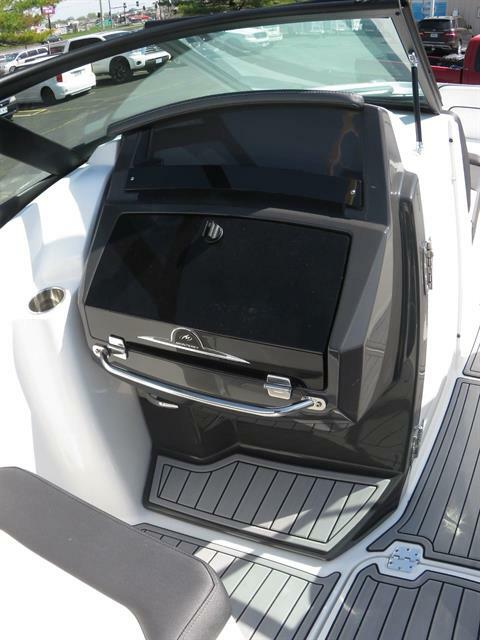 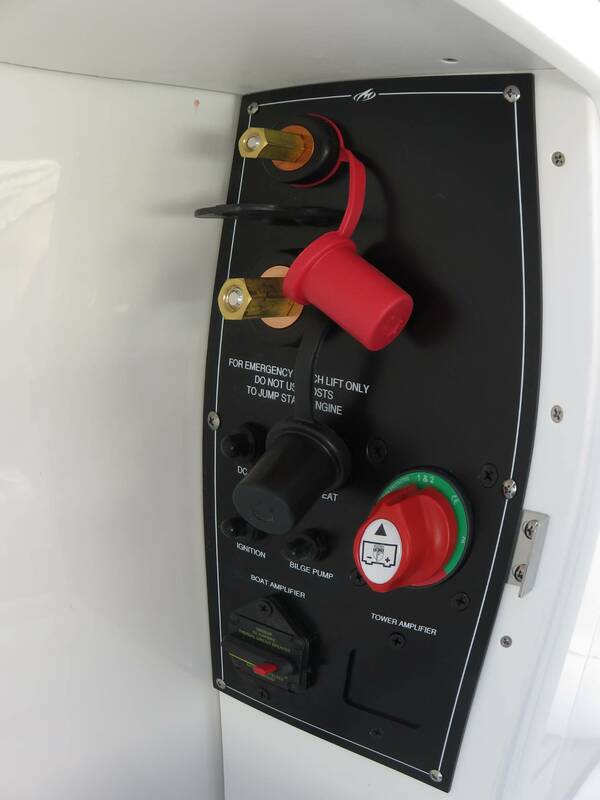 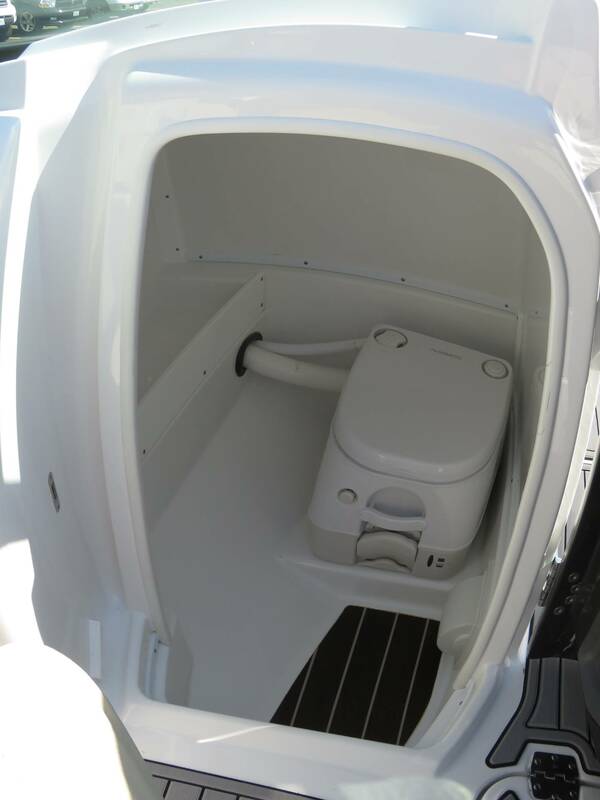 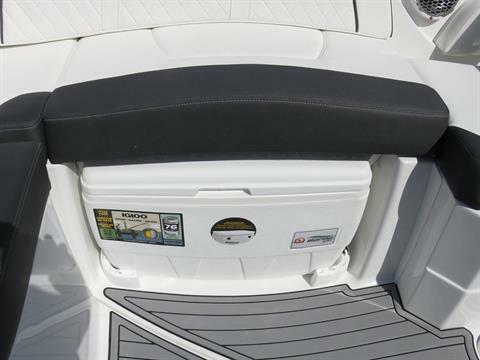 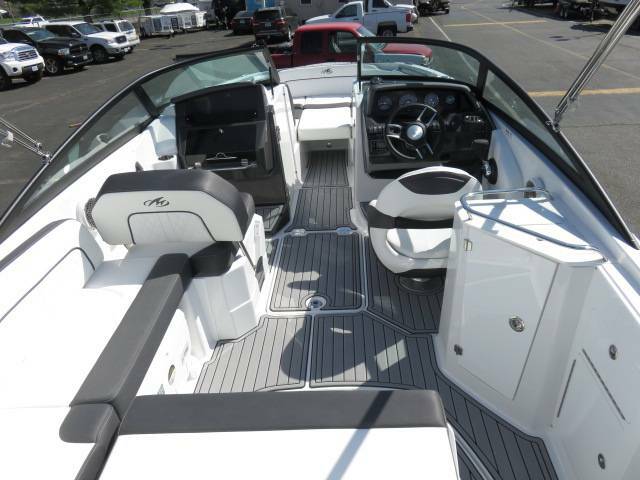 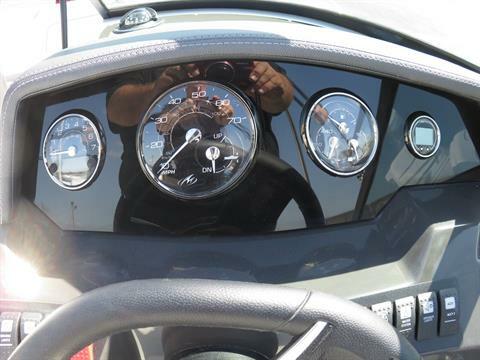 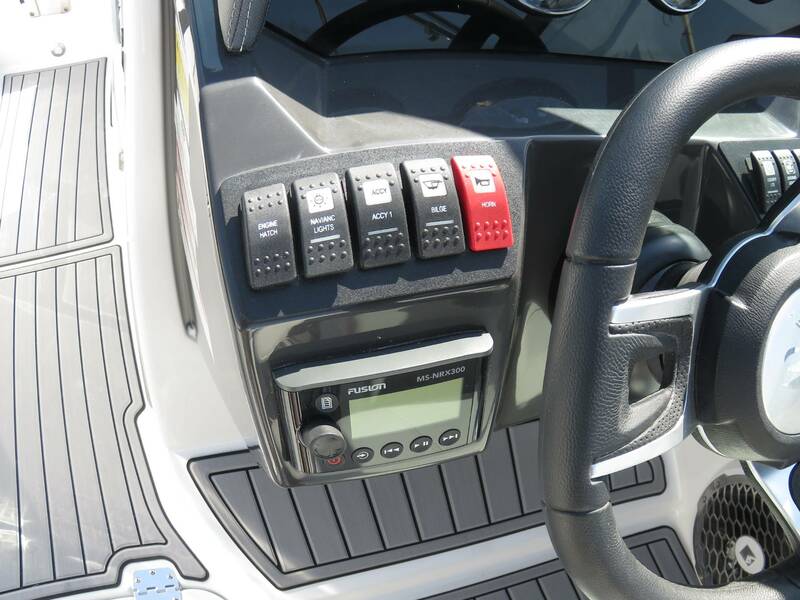 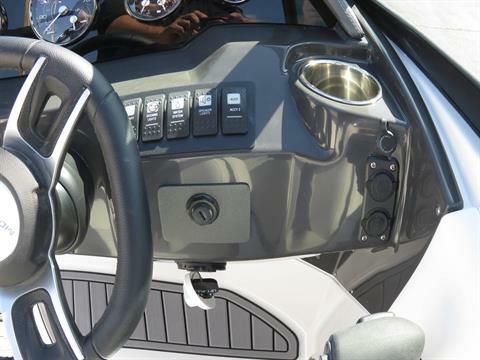 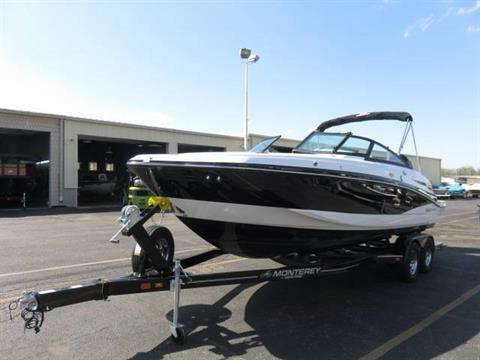 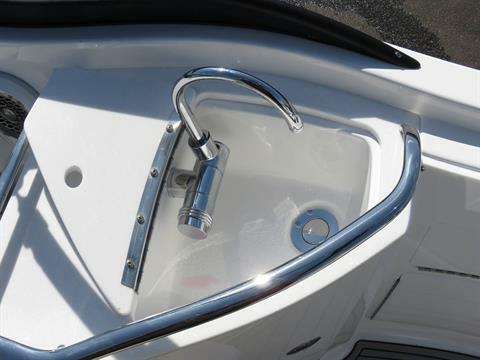 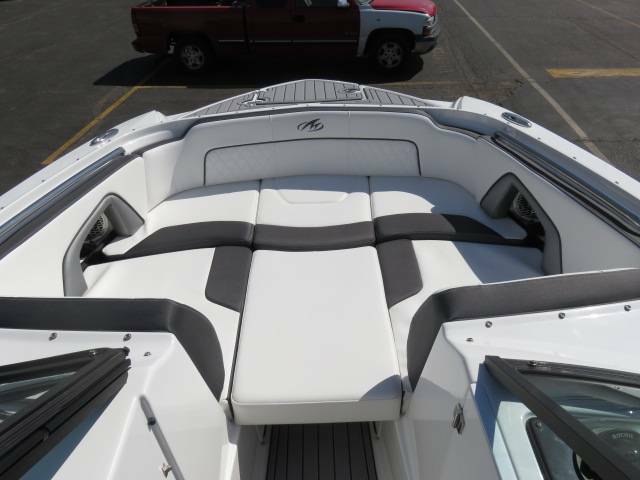 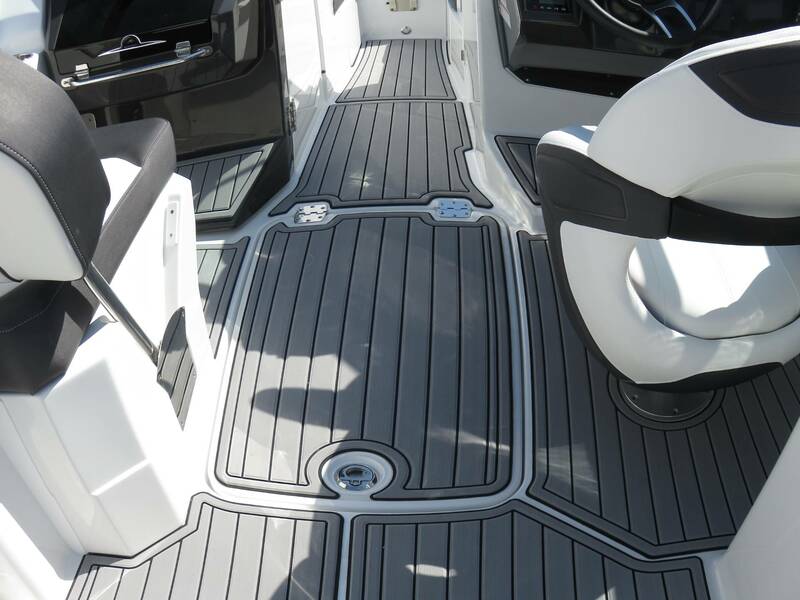 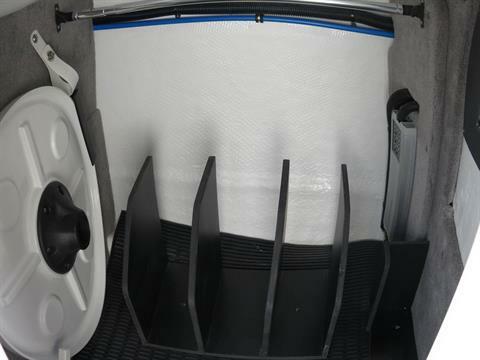 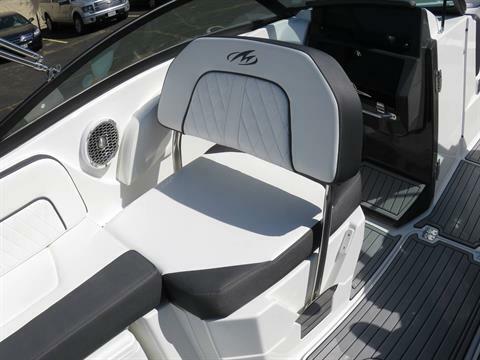 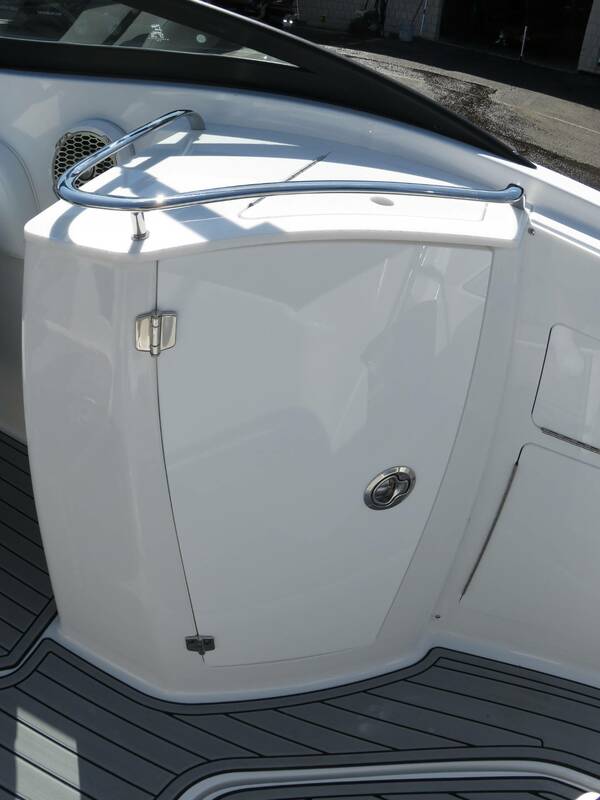 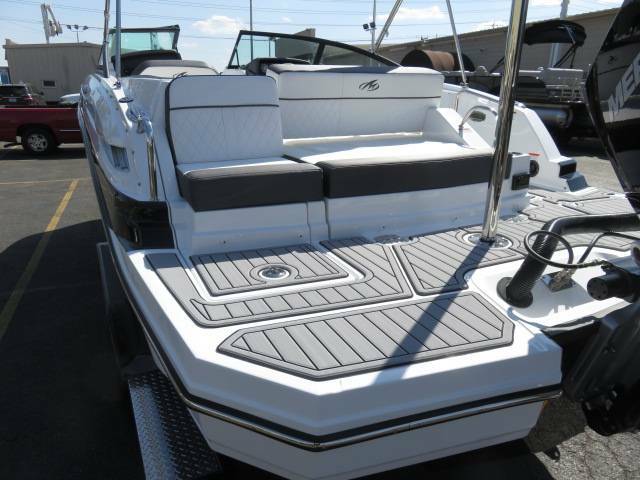 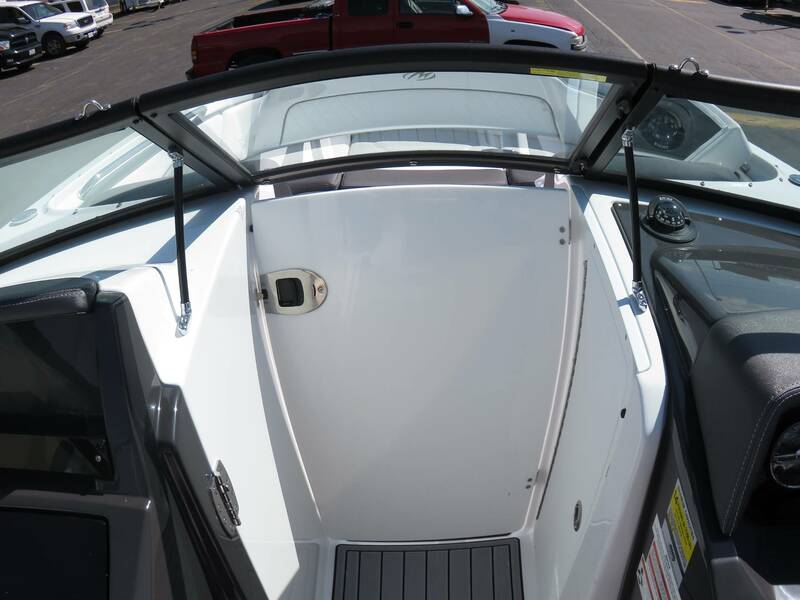 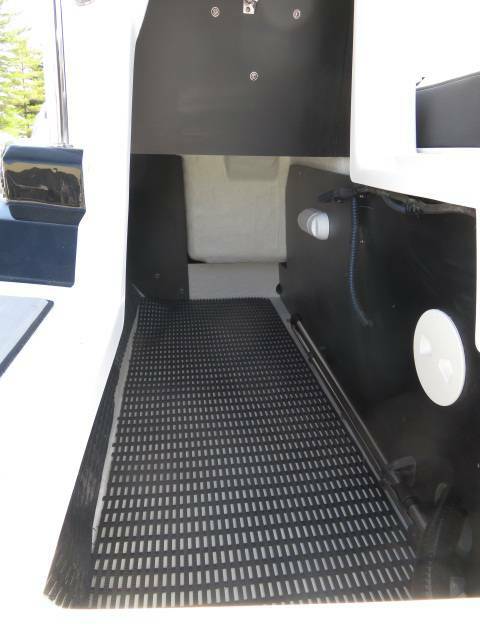 Standard features include an ergonomically designed helm station, spacious seating options with custom dedicated storage, Fusion Satellite Ready AM/FM Stereo, as well as a wet bar with solid surface top, sink, and faucet. 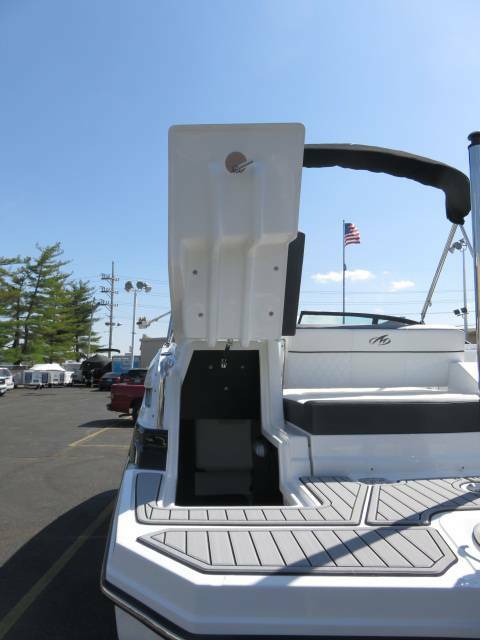 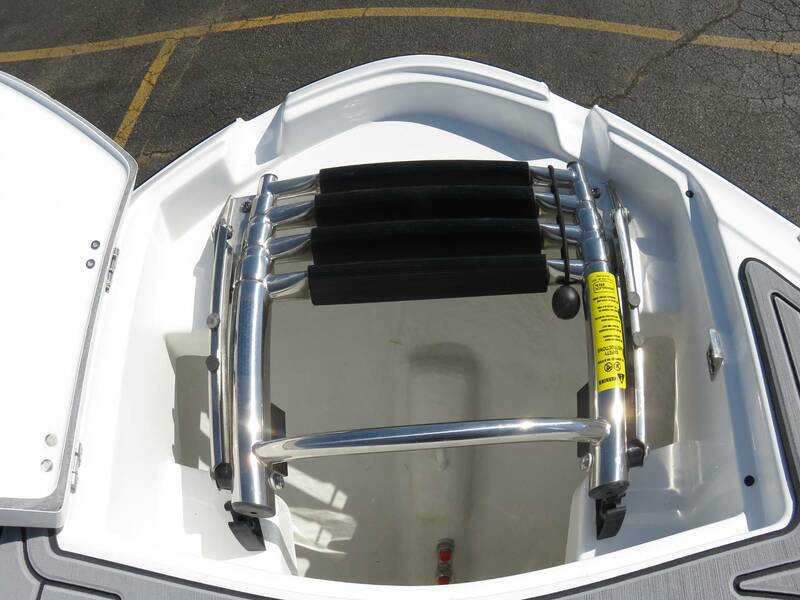 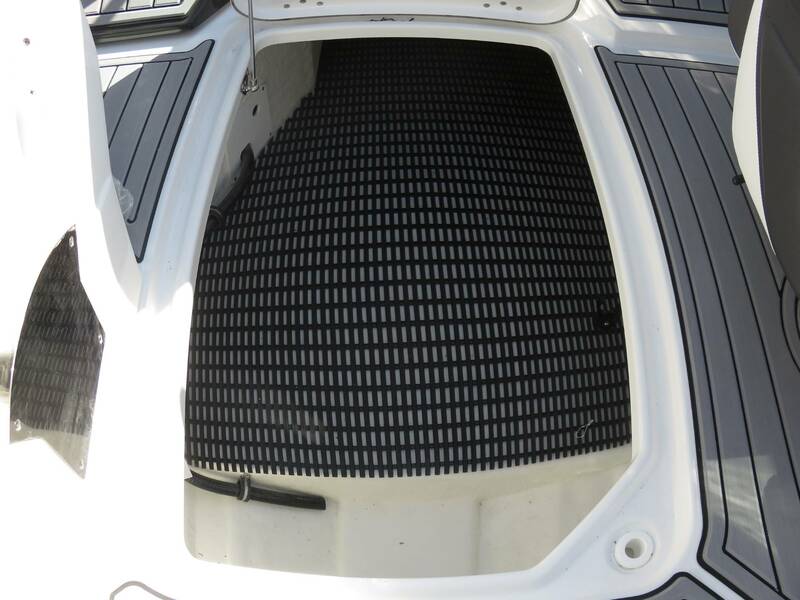 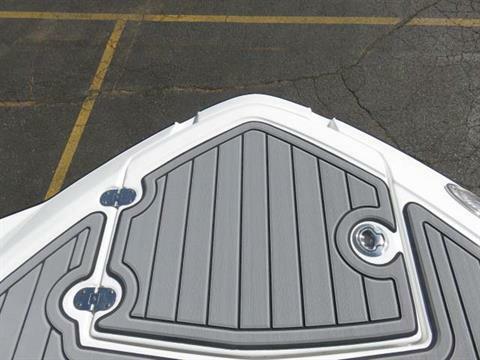 Add on the optional wakeboard tower and portable platform grill to complete you’re on the water adventures! Draft - Stern Drive Down 32"
Draft - Stern Drive Up 16"